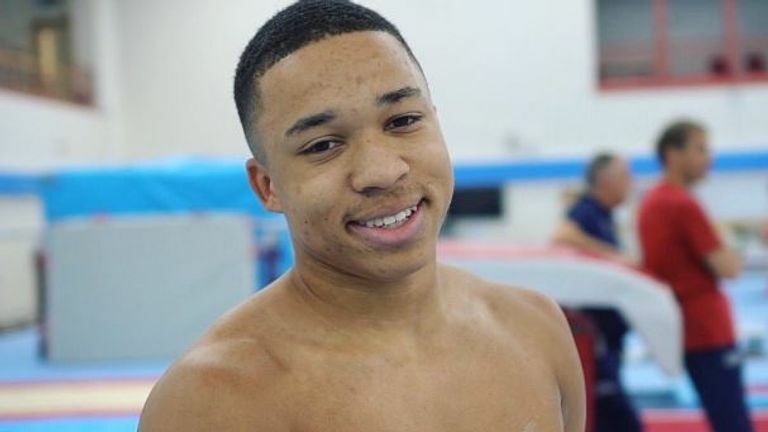 Joe Fraser narrowly missed out on a medal in front of his raucous local supporters at the Gymnastics World Cup in Birmingham on Saturday. The 20-year-old Sky Sports Scholar finished fourth on 83.265 after the six pieces of apparatus, just over half a point behind bronze medallist Kazuma Kaya of Japan. Russia's Nikita Nagornyy was champion with 85.065 ahead of China's Sun Wei, while GB's Jamie Lewis was ninth on his senior World Cup debut. Fraser concluded his competition on the floor, opening with a double-double in the tuck position, and sticking a number of landings during the routine as he wrapped up a stunning event behind three rivals who have all made an Olympic podium. "My friends and family never really have the opportunity to see what I do so it was really great to perform in front of them even if it did put a bit of pressure on," he said. "I think this is really going to help my preparations towards the Europeans. It is a good stepping stone and I know where I can gain those few tenths that can lift me closer to those top gymnasts in the world. "It's been a hard journey. I came back from injury before the Commonwealth Games and it's been a case of hard work and determination, but I knew where I wanted to be and I know where I want to go. "I really enjoyed the competition and to get out there for the first time in Birmingham and going round with some of the biggest names in gymnastics and showcase that to the world. "It was such a good experience and I'm now just looking forward to the Europeans in April."